Although Dr. Patrick Mbaya’s illness caused a lot distress and nearly took his life, the emotional symptoms of the depression he developed helped him understand and empathize with patients and how they feel when they become ill. 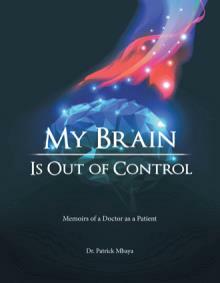 In My Brain is Out of Control, Mbaya, fifty-five and at the peak of his career, shares a personal story of how he suffered from a brain infection in 2010 that caused loss of speech, right-sided weakness, and subsequent depression. He tells how he also dealt with the antibiotics complications of low white cell count and hepatitis. He narrates his experiences as a patient, the neurological and psychiatric complications he encountered, how he coped, and his journey to recovery. Presenting a personal perspective of Mbaya’s illness from the other side of the bed, My Brain is Out of Control, offers profound insight into battling a serious illness. Answer – 1 What I went through was very difficult for me, and for my family, and although I was writing down what I was going through during my illness, it took me four years before I was comfortable enough to share my story by writing the book. 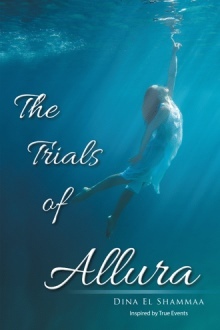 Do you have a favorite excerpt from the book? If so, can you share it? Answer – 2 Yes, I have. My mood swings got worse. I was feeling very low, particularly in the morning to early afternoon. I was very emotional, and I found myself crying without a moment’s notice. My confidence was very low and I was feeling very negative, and even though I was confident I did not have HIV, I was convinced (especially in the mornings) that the test they did will be positive and I was a disgrace to my family. All my symptoms were worse in the morning. What do you hope readers will take away after reading the book? Answer – 3 To be aware that serious illnesses like neurological, and psychiatric like depression can affect anyone including doctors like myself, who treat these illnesses. Who or what is the inspiration for the book? Answer – 4 To share my personal story. What I went through was very difficult for me, and for my family, and although I was writing down what I was going through during my illness, it took me four years before I was comfortable enough to share my story by writing the book. I also felt it is important for doctors to see things from the patient’s perspective, and also to give hope to people with depression or brain disorders, and their families. Have you had a mentor? If so, can you talk about them a little? Answer – 5 Dr Stephen Stahl is a Professor of Psychiatry at the University of California at San Diego, he is my mentor. He has written a lot of books on chemical changes in the emotional (limbic) brain and how medication like antidepressants, mood stabilizers, antipsychotic, etc work (psychopharmacology). Despite this been a very complex subject, his books are easy to understand, and have helped psychiatrists throughout the world. He lectures on these subjects. He is enthusiastic, his lectures are informative, and even entertaining, making this difficult subject easy to understand. I have heard it said in order to be a good writer, you have to be a reader as well? Do you find this to be true? And if you are a reader, do you have a favorite genre and/or author? Answer – 6. Yes it is true, as you can see how good writers engage their readers. Yes, Dr Stephen Stahl (answer 5 above). Dr. Patrick Mbaya is a medical doctor specializing in psychiatry. He is a consultant psychiatrist and honorary clinical lecturer in psychiatry at the University of Manchester, United Kingdom. He has a special interest in mood and addiction disorders. Life 2 the Full is a self-help book that shows the reader how to improve health and well-being by preventing Illness from happening in the first place. This book will guide you through the elements needed to help you live your life to the full. 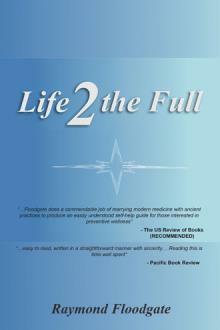 Life 2 the Full covers such subjects as health and well-being, food, exercise for the body, and exercise for the mind. Stress is also covered in this book, including ways to eliminate it. Other topics include breathing, relaxation, meditation, money, and abundance. The goal is to help the reader achieve a life that is lived to the full. If you are struggling with your life through constant recurring illness, stress, food-related problems, or lack of purpose, Life 2 the Full will teach you how to change the life you are living now into a life that you never thought possible. The book is written in plain English, is easy to understand, and will give you an insight into how easy it is to change your life should you want to. be obtained with little effort on your part. of wealth but only a small part. Raymond Floodgate is a certified Reiki master and teacher, a qualified practitioner of energy healing, and an energy healing teacher. He was a practitioner and instructor of Shotokan karate for twelve years but now focuses on preventing illness. To this end, he has studied Tai Chi, Qigong, and meditation. In his book Utilitarianism, John Stuart Mill refers to the great objects of human life. We may assume that that what Mill calls an object is the same as an objective in modern parlance. The examples of great objectives that Mill cites include power, fame, and money. One wonders how seriously Mill was actually endorsing such aims to be the overarching objectives of living or whether he was simply expressing his finding that many people actually do take such aims as these for life. The contention is that Mill was indeed recognizing that people do choose such goals in life. After all, happiness has been recognized as an objective of life at least since the time of Aristotle, and virtue has a similarly ancient pedigree. It is quite common for ordinary people to adopt such mottos as “Healthy, wealthy, and wise” as aims for life. But we know that having more than one such value can lead to conflicts. This had been a concern to Sidgwick as well as other nineteenth-century moralists. 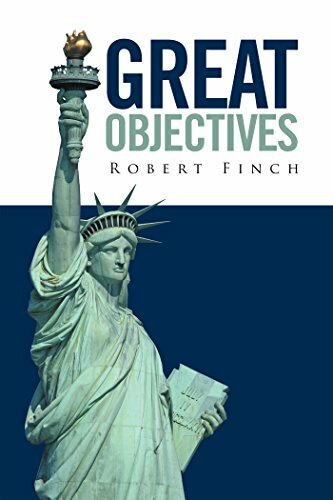 A resolution to the problem was found by the time of the twentieth century, when it was realized that we should not try to achieve definite objectives, but instead look to some other procedure, such as a variety of evolution, to shape our objectives. In that case, we make plans and evaluate them, as we proceed. We should use our values, as Dewey recommended, for guideposts. The book discusses the methods of arriving at such plans and weighs some of the ethical and moral problems an individual or a society might face at the present time. Robert Finch is the author of five collections of essays and co-editor of The Norton Book of Nature Writing. He broadcasts a weekly commentary on NPR and serves on the faculty of the MFA in Writing Program at Spalding University in Louisville, KY. He lives in Wellfleet, MA.